Designed and developed by Eclipse Product Development, the AcceleDent® Optima™ is the first and only FDA-cleared Vibratory Orthodontic Device clinically proven to speed up orthodontic treatment by as much as 50% and reduce discomfort by up to 71%. Dental braces are used to align teeth to improve bite mechanics and dental health. 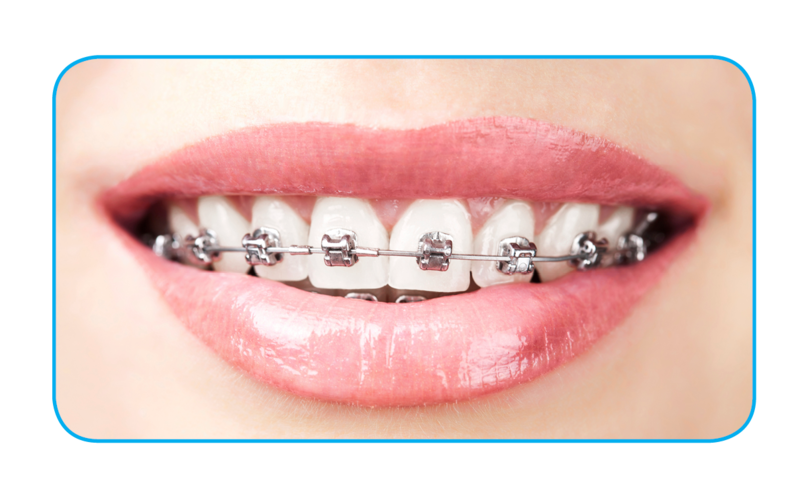 The average braces wearer will have a mouth full of metal for 1-3 years that often negatively affects diet, participatory activities, and self-image. What if there were a way to cut the treatment time of braces in half, while also reducing pain and discomfort? 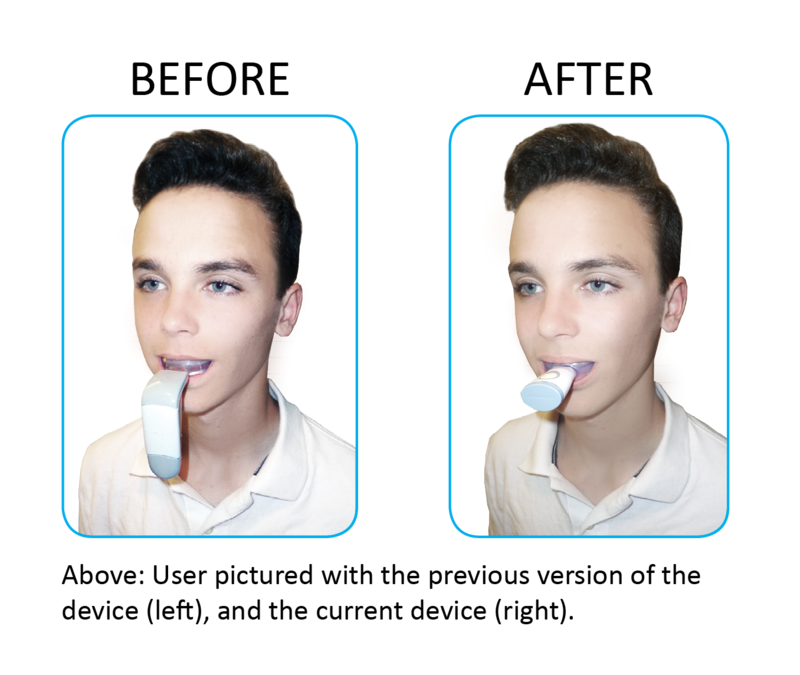 The team at OrthoAccel developed an initial product that did just that: their electronic mouthpiece uses almost imperceptible vibrations to encourage the teeth to shift, so braces work faster and more comfortably. The initial version worked well, but it needed the expertise of the Eclipse team to take the AcceleDent Optima product and user experience to the next level. Eclipse conducted gap analysis, through user studies of the current product, to help identify new feature integration areas. Multiple insights were uncovered that pointed to exciting new possibilities for the next generation design. It was crucial to maintain the user safety and effective results of the previous version of the device. Eclipse conducted extensive user testing and ergonomic studies ensuring the device continued to work well and was entirely safe to use. A device that is used daily must be intuitive and easy to use. Eclipse examined every aspect of the user experience and identified key areas to improve usability over the previous version. For example, users had issues with the device getting in the way when completing some common tasks. The device needed to be more compact and able to accommodate one-handed operation. The treatment times needed to be reasonable to accommodate busy schedules. 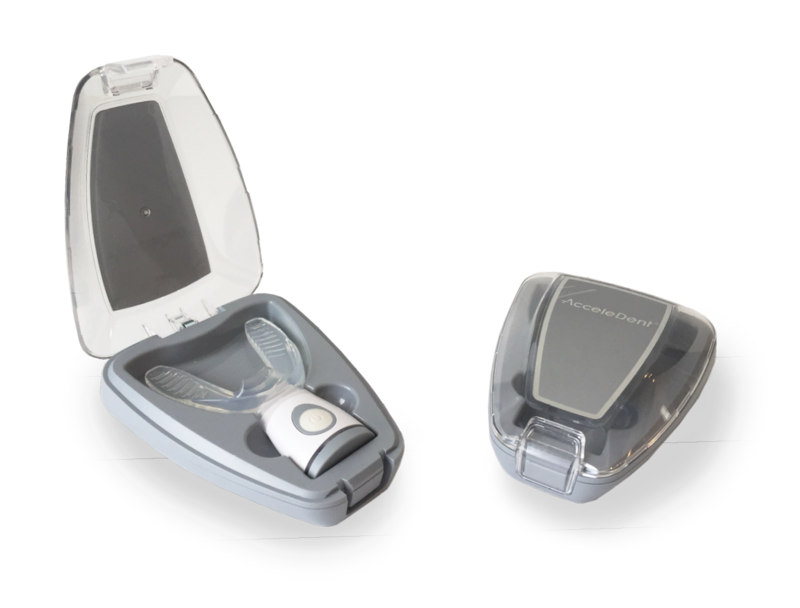 To be relevant to the trends of today’s market, Eclipse designed the AcceleDent Optima to be a connected device. Many electronic products on the market today have some form of connectivity or smart features. A well-designed mobile application and web interface would aid users in tracking and maintaining their usage. The AcceleDent Optima is the culmination of seamless technology integration and dedication to a thoughtful user experience. By invoking a User-Centered Design Process, Eclipse delivered a safe, effective, and intuitive device with a comprehensive suite of technology-driven features. AccleleDent’s patented SoftPulse Technology® applies precisely calibrated vibrations called micropulses which transmit through the roots of the teeth to the surrounding bone. This gentle vibration increases the cellular activity and speeds the rate at which the teeth can move. When used with braces or aligners, AcceleDent is clinically proven to move teeth up to 50% faster. AcceleDent is also clinically proven to reduce the pain and discomfort associated with braces and aligners by up to 71%. SoftPulse Technology® micropulses exert up to 8x less force than a power toothbrush and 200x less force than ordinary chewing. Acceledent Optima has a simple interface with a clearly-indicated power button. An LED light ring at the base communicates the duration of the treatment, charge level, and power indication. The Eclipse design team significantly reduced the overall volume of the Optima compared to the prior version. This creates a much more enjoyable user experience as it is lighter and does not get in the way. 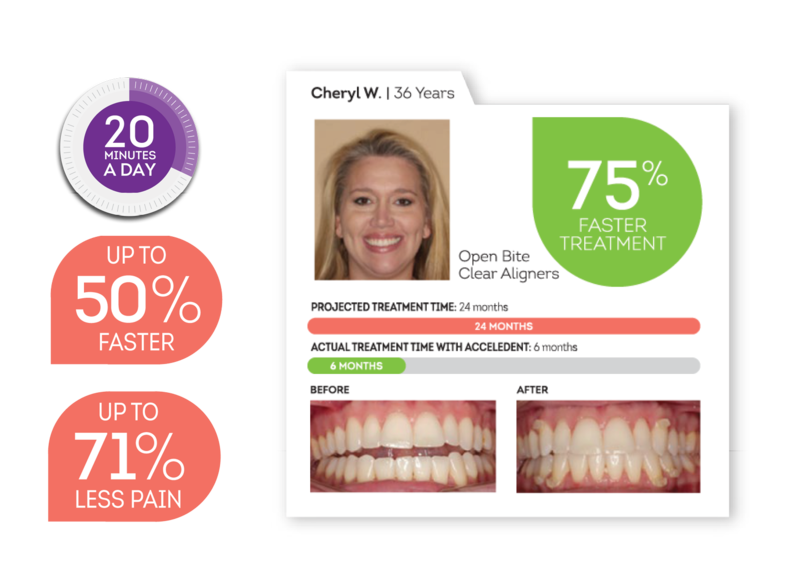 Eclipse developed the mobile application and web interface for the AcceleDent Optima. Users can track their progress with the device via the app, set reminders, connect and share their data with their doctor and family, and more. The application was designed to be inherently simple to navigate and provides the user with incentives and achievements to use the device daily, and stay on track. The AcceleDent Optima is charged via state-of-the-art induction charging which eliminates the need for any charging ports or cables into the device. The AcceleDent Optima is a project that exemplifies Eclipse’s User-Centered Design Process. 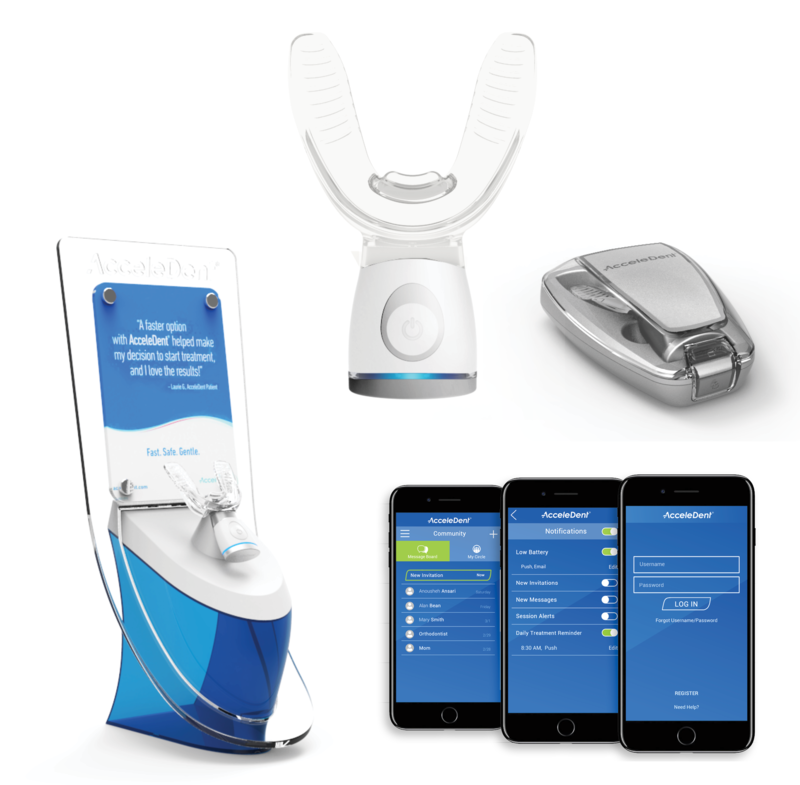 Eclipse, in conjunction with the team at OrthoAccel, brought about a next generation device that vastly improves the experience of those who use it. From the marketing display stand, to the one-hand-opening charging case, to the intuitive mobile app, every aspect of this product was well designed and fine tuned to give the user the most delightful experience possible.